Irwin Mitchell (IM) has signalled its intention to grow “substantially” in the coming years after securing a £60m four-year finance package with three major UK banks. The deal – which also includes a £30m ‘accordion’ facility for further finance if required for a big transaction – has been agreed with HSBC as lead provider, along with Lloyds Bank Commercial Banking and Royal Bank of Scotland. 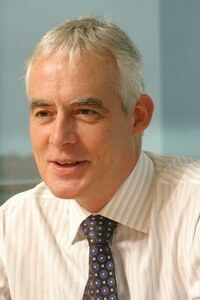 Group chief executive John Pickering said the deal was a “clear show of support” from the firm’s bankers: “The fact that we have been able to agree this facility with our banks at a time when the legal sector faces some real challenges demonstrates the strength of our business financially. The move comes nearly three years since IM announced its intention to seek external finance, and restructured its operation to facilitate it, with the adoption of a two-tier structure that saw the creation of a corporate vehicle. As an early advocate of alternative business structures (ABSs), there has long been speculation about how IM might make use of the status it gained in August 2012. But chief financial officer Andrew Merrick told Legal Futures that bank funding, if available, will always be a business’s first port of call as it is the “cheapest” form of financing. Mr Merrick said there was presently no need for any additional funding, but if external capital of some form was right for the business in the future, they would consider it. He explained that the cash would in part be deployed for ongoing capital needs but would also be used to finance both further acquisitions and organic growth. IM’s current overdraft is about £20m. IM has grown significantly in the past few years, from a turnover of £150m in 2010 to more than £200m last year. In the past 18 months it became the first multiple-licensed ABS, completed five acquisitions – four of which were by its debt arm Ascent, most recently of HL Interactive – opened its ninth regional office in Southampton in April and made more than 30 partner-level hires to its personal and business legal services arms.